It is time to get back to the beautiful ocean which does not have any walls and join adventures of characters which became our favorite more than a decade ago. 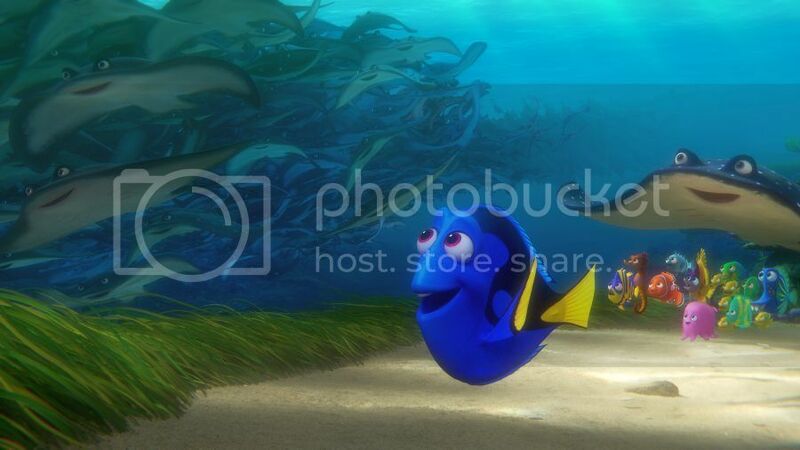 Only this time it is all around never boring and forgetful blue tang Dory (voice of Ellen DeGeneres). Once she remembers that somewhere there is her family she misses so much and wants it back. While she is determined to find her family, Marlin, Nemo’s father (voice of Albert Brooks) is quite reluctant to go on the journey to California worrying about Dory’s and Nemo’s safety. Nevertheless, the trio decide to cross the ocean to reach California’s Marine Life Institute. Once they get to the MLI, Dory and her friends face multiple challenges. They meet various ocean creatures and ask for help to find Dory’s mom and dad. One moment Dory, Nemo & Marlin are together and next they are separated and try to find each other. At the Marine Life Institute Dory finds help from Hank (voice of Ed O’Neill), an octopus who is a master in disguise and wants to help Dory in exchange for the tag she got from the staff. She also meets Destiny (voice of Kaitlin Olson), a nearsighted whale shark who recognizes Dory as they were close friends many years ago but Dory does not remember that. 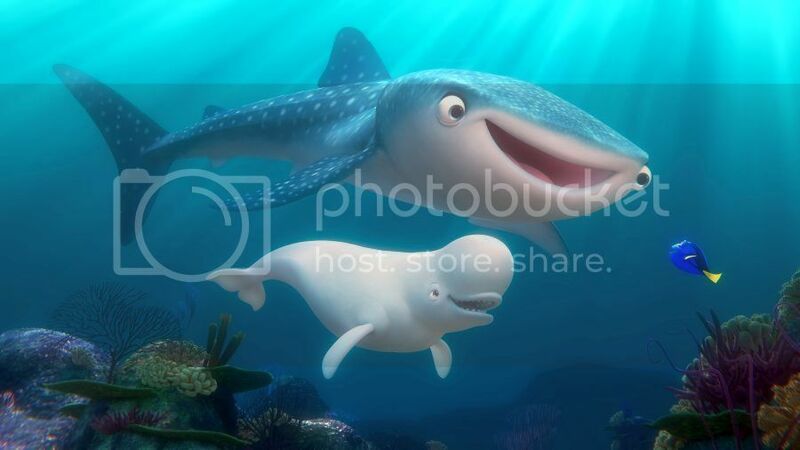 The adventures would not be hilarious without Bailey (voice of Ty Burrell), a beluga whale, whose echolocation skills are found real purpose and appreciation. Almost until last moment I had a feeling that Dory is not going to find her parents, because after many years it is almost impossible. The story is very touching as Dory remembers different moments from her childhood and not all of them at once, just one by one. Soon she finds that her home, called Ocean, really was not the ocean but a huge tank where rescued marine creatures find temporary home at the MLN. Finding Dory totally convinced me that sometimes it is good to have memory loss so that you do not remember that you cannot do something and follow your dreams. In this story Dory and her parents do so much to find each other, Dory with short memory loss but with hope in her heart to find her mom and dad. And Dory parents who never questioned that one day their lost girl shows up and never stopped waiting for her. The movie now playing in theatres, so do not miss an opportunity to watch Finding Dory on a big screen. It is spectacular movie for the whole family and perfect for upcoming Father’s Day weekend!